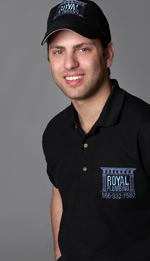 Our team of licensed plumbers shares a commitment to delivering quality service. Owner Noah Klein is a Licensed Michigan Master Plumber. He and several staff plumbers are Cross Connection Control (Backflow) Certified. We are happy to provide specific licensing information and insurance certificates upon request. Licensed plumbers, not service technicians, perform all essential plumbing work. We serve clients throughout southeast Michigan – from Flint to Monroe, and from Lansing to Port Huron. Call us anytime at 248-514-0809 to schedule plumbing service or an estimate. To assure the most reliable plumbing systems, we use only top quality parts and brand name fixtures. We provide our customers with the information they need to make a sound decision whether on a repair or a new installation. Often several options are available and we’re happy to explain the pros and cons of each. We specialize in challenging projects and solving problems that are difficult to diagnose. Our work is always code-compliant and most projects come with a warranty.